Wesco Offers a variety of steel, aluminum, or wood beds, in carrying capacities up to 4,000 pounds. There are choices of caster and wheel types to suit your application. 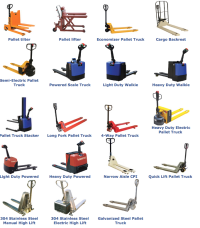 Drum Handling Equipment -Wesco makes drum handling equipment that range from hand trucks to move them, to hoists, dollies, pumping equipment, forklift adapters and more. Whether you need a manual pallet truck, or something more specialized like a lift, a powered truck or a “walkie”, Wesco can provide exactly the right type and capacity of truck. Wesco offers hand trucks in aluminum or steel, in a variety of configurations for specific purposes. 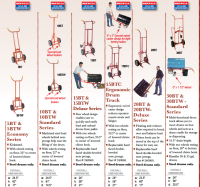 Whether you need to move boxes, gas cylinders, appliances up and down stairs, or perhaps you need a convertible hand truck for easy storage and handling, we can help. Wesco/Lexco Platform Lift tables are available in a variety of sizes and capacities, allowing you to lift items to working or storage height. Bins and Carts -Wesco tilt carts are perfect for a wide range of tasks in the plant. Wesco also provides square and rectangular plastic totes / bins.